This is example how 5 axis cnc machining works for aerospace industry. Some airspace components are tricky to manufacture because of their complexity. In this case all 194 wholes have 30 degree angles but in different orientation. 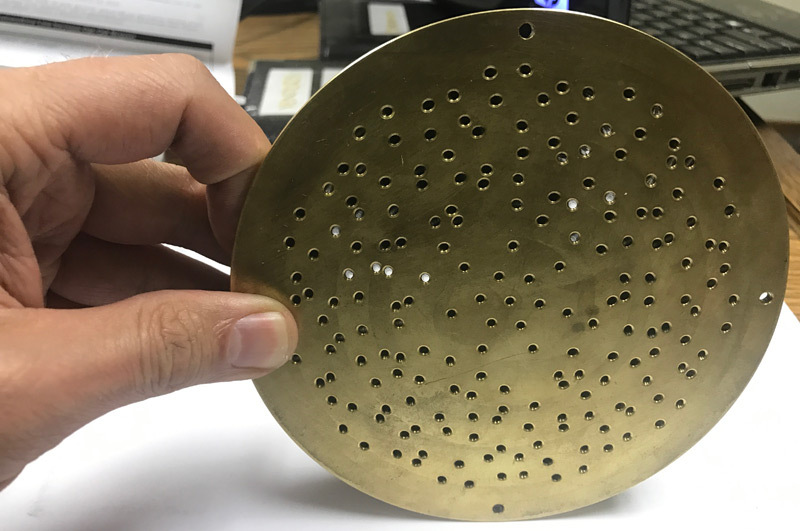 Diameter of a hole is 0.076 inch and precision 5 axis equipment was essential to complete this part. Here you can see light shining through some of the holes. This part is actually a fancy injector that creates a special pattern thanks to the angled holes. 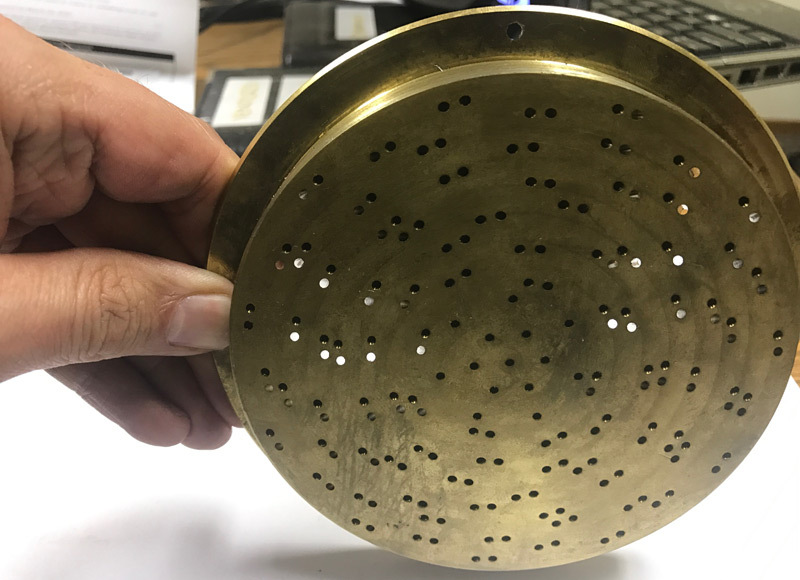 Brass can be cnc machined easily with ultra precision. Although ductile in its softened state, it is a strong material to work with and maintains its strength even under some of the most demanding conditions. More information about machining of brass parts. Click this link to see other parts.